“As in the first installment of the Bailey series, the past is always looming in this tale. The police detective’s PTSD both colors his interpretation of events and is affected by them...More than a straight-up police procedural, this tale gives readers the excitement of the chase while taking them deep into the psyches of its diverse characters"
What if it happened to your daughter? At first Detective Jack Bailey wonders who would kill a nice guy like Todd Kaplan. But it doesn't take long for Jack to realize Todd should've thought twice about what he did to several girls he dated. Was his murder justified? 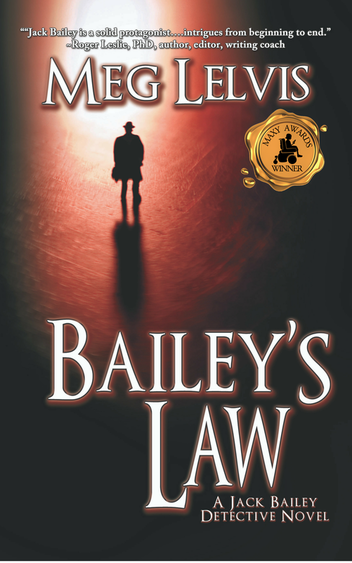 Jack Bailey, small town hard-boiled detective, must solve the crime, but his own unrelenting demons rising from his struggle with PTSD and buried family secrets complicate his task. Daily work at the station affords Jack distraction from the inner turmoil that penetrates his nights. Darkness brings unwanted memories, nightmares, and the realization he needs to face what happened ten years ago. Through the searing Texas summer heat, Jack's team of detectives works hard interrogating witnesses in an effort to discover Todd Kaplan's true character. But it's patrol cop, Denise Williams, who rises above her calling to assist in questioning a crucial witness. Smart and sassy, she holds her own with Jack's moody temperament. All the while, a new romantic interest with a woman who is off limits proves problematic for Jack as he tries to make the right decision. Was this small town murder an act of justice or revenge? Only a parent who has tragically lost a child can hold the answer in their hearts. Jack understands. Only too well.